Asking for a Friend: Is God Good? What do you do when you have to ask an embarrassing or awkward question, or a question you feel you should know the answer to? 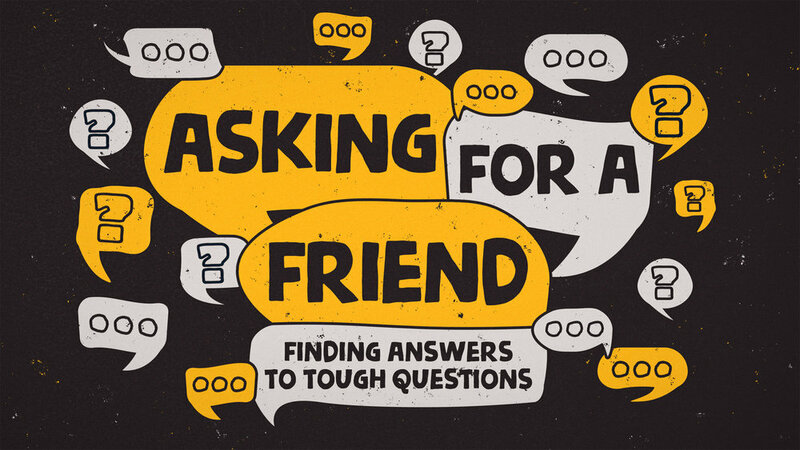 Why, you ask the question and simply say that you are “asking for a friend!” The next several weeks, we will follow Jesus as he journeys toward his work of saving us in Jerusalem. As he does, we will watch and listen and learn from our Savior the answer to questions we have or questions we’ve been asked. Questions like, “Is God good?” “Does God care?” and “Do I have to be humble?” This week, as we see Jesus heal a man who was crippled by being deaf and mute, we wonder “Is God good?” and if he is, why would he allow something like this to happen? Newer PostAsking for a Friend: Does God Even Care?